When I say ‘lead game designer’, you probably think of yourself, at some point in the indeterminate future, sitting on a beanbag bouncing ideas off colleagues and waiting for the exact moment to pitch the perfect game idea that you’ve had circling in the back of your head for years. Well, while some of us do get to do that, there’s also a whole load of work that goes into being a lead video game designer, and it’s work we don’t often get exposed to. 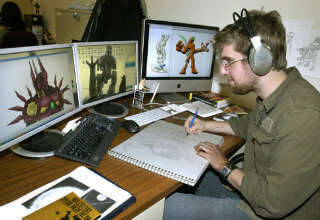 Related Content: Start your career with a Video Game Design Degree. The industry would have us believe that all designers do is come up with ideas, but it’s the exploration of those ideas which make a job. Unfortunately, the image you have of a lead designer is wrong. We don’t just sit around on beanbags all day waiting for the next big idea to strike (although if you’re lucky enough that they’ll let you do that, then kudos). A lot of game design is sitting down with a huge sheet of paper and some colored pens and hashing out game design ideas until you find one that works. Believe me, you’ll explore a lot of dead avenues, and even ideas that you were fond of in the initial concept stage will fall into nothingness and you’ll be left without a viable product at the end of it. It’s a hard, heartbreaking process; sifting through your ideas, and the ideas of others, and throwing away 90% of what’s there is a hard thing to do. People are in love with their ideas and you’re no different, but unfortunately the harsh reality is that, most of the time, your ideas aren’t enough. But perhaps you explore an idea and find it to be more of a mechanic than a stand-alone idea, or a character from one dead-end fits perfectly into something more promising. That’s the magic of game design. You’ll find ideas fit together in new and exciting ways and you’ll be willing to leave your original ideas in the dust to pursue new avenues, and being a lead designer gives you that freedom. It’s that freedom that we all strive for, the ability to throw ideas around and find out what works in a relatively risk-free environment. More importantly, it’ll be your job to find out what works best, your duty to test ideas and push boundaries. Isn’t that what we wanted when we decided we wanted to be game designers? So what do lead video game designers do all day, asides from being cruel with their editorial knife and pushing the boundaries of creativity? I can’t speak for everyone in the industry, and there is a whole lot of variation (for example, my average day is going to be far different to that of Hideo Kojima or Peter Molyneux), but let me give you the run-down. Days tend to start with following up on projects from the previous day/week/month – finding out where the developers are with the project, relaying that information to project management and marketing, and fixing any queries those departments might have with the game you’ve designed. A lead designer doesn’t just design – they also take responsibility for projects that have been designed by them. Once that is done, the fun begins. I’ve already mentioned big sheets of paper and colored pens, and that’s how I went about game design. From spider diagrams to time-lines, utilize all those skills taught to you at school to plan the game from start to finish. Sometimes you discover there’s not much there, other times you’ll be onto a winner. 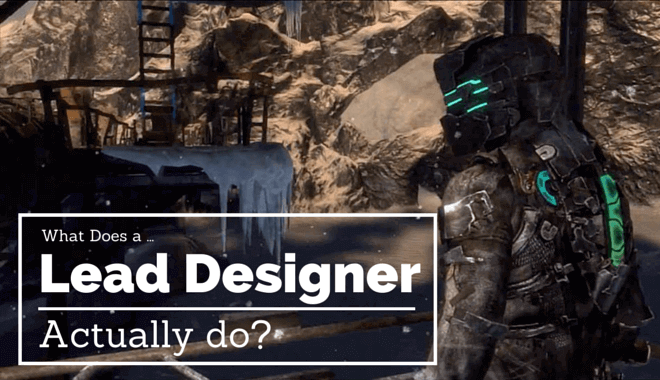 When asked what a lead video game designer does, it’s more a case of what doesn’t a lead designer do. From project management and team cohesion to actually planning a game, being a lead designer is a varied role with many individual applications.